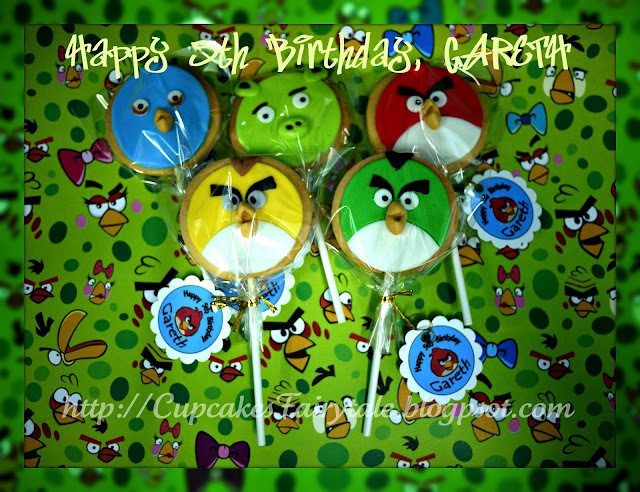 Vivienne, a friend from Miri , sarawak called in to order these 'Angry Birds' Sugar Fondant Cookies for this coming Sunday, as her cute and adorable son, Gareth will be celebrating his 5th birthday at home with his friends and relatives. Happy 5th Birthday , Gareth! !